I have another Christmas card to share with you today. 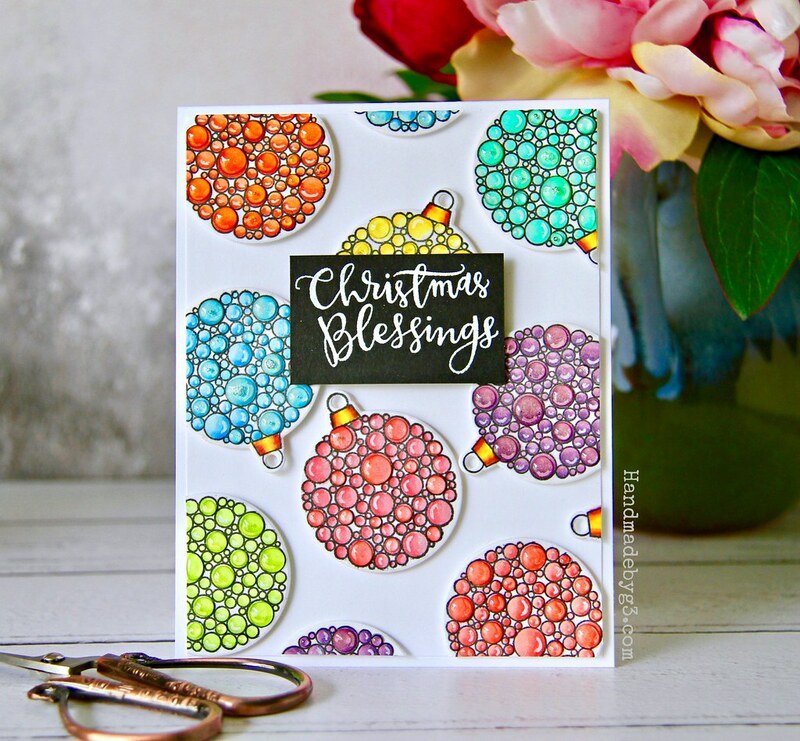 This card features the new Ornate Ornaments stamp set from Simon Says Stamp STAMPtember release. I love the beautiful ornament designs in this set. The bubble ornament caught my eye first. 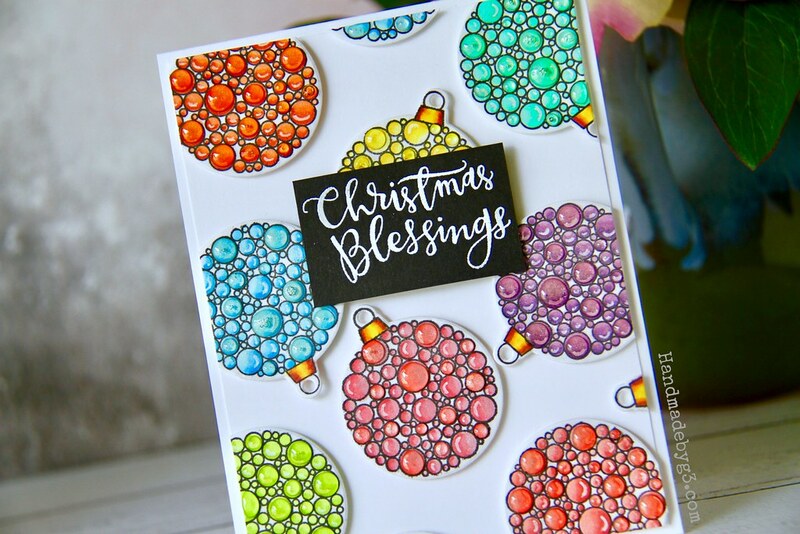 So here is my Christmas card using just the bubble ornament from Ornate Ornament stamp set. 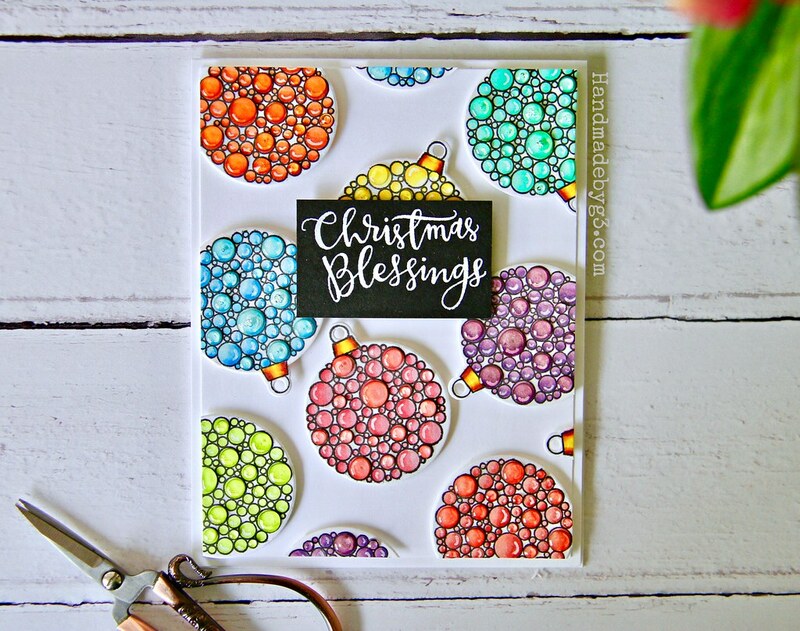 I simply stamped multiples of the bubble ornament using Simon’s intense black ink then coloured each of them using copic markers. I did all the colours of rainbow. Then using the coordinating die, I die cut them all out. Then brushed all the ornaments with clear shimmer pen from Nuvo. Once dry, I added highlights using Sakura white gelly roll pen. I trimmed a white panel to 4’x5.25′ in size. Then I adhered the ornament die cut randomly all over the panel using foam adhesives. Then I white heat embossed the sentiment from the Ornate Ornaments stamp set on a strip of black cardstock and adhered on the top centre of the panel using foam adhesive. I glued this panel on a white card base. Finally I added some glossy accents to a few of the bubbles in each of the ornaments to add texture and more dimension. That’s it! Card complete. 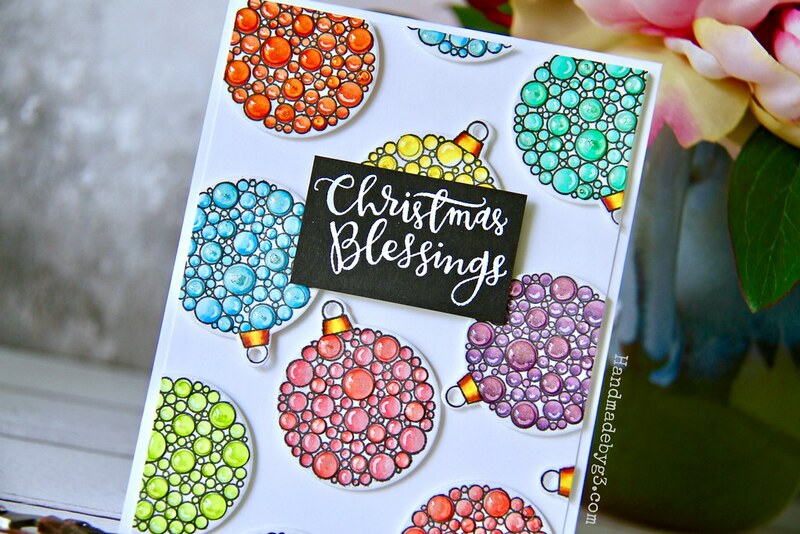 Hope you are inspired by my very rainbow ornaments christmas card. Thank you very much for visiting my blog today. Have a lovely day! Super fun card! Love those ornaments!